Now that winter is over and many of us are transitioning into a season of training and competing, I thought it would be a good time to reflect upon what it takes to get our dogs back into shape for working and competing. So here you go! Start Slowly. Recognize that even though you might have been doing a lot of conditioning over the winter, your dog’s body is not necessarily conditioned to handle the demands of your sport if you have taken significant time off. Give it Time. 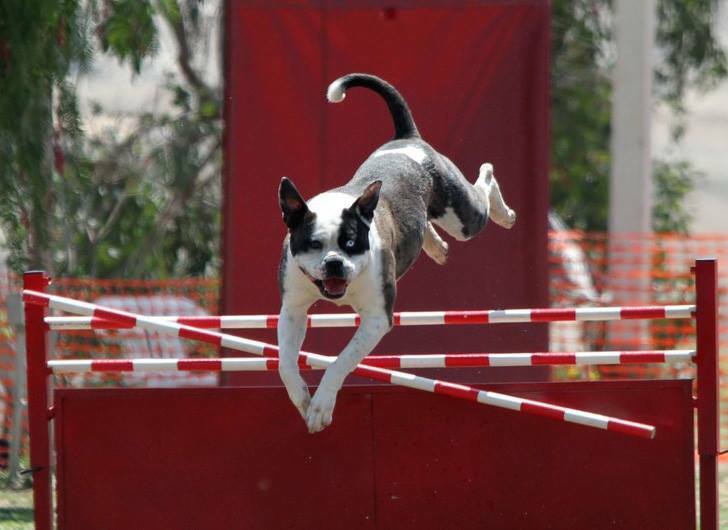 Your dog’s body needs time to adapt to the demands of your sport. If you only do sport specific training once or twice a week, your dog will need a number of weeks to get back into condition. Beware of the Temperature. Your dog will be especially sensitive to warmer temperatures if you are entering the warmer spring/summer months. Be familiar with the signs of heat stroke. Keep it Short. Gradually return to sport specific training and begin with shorter sessions and more rest periods. Intensity level and length of time working/training should be less than what you do mid-season. Warm Up Your Dog. One of the quickest and easiest ways to help prevent injury is to ensure that your dog is properly warmed up before engaging in strenuous activity. Don’t Forget to Cool Down. A dog that is out of shape or not in peak condition will take longer to cool down. A proper cool down aids in exercise recovery. Keep Hydrated. Even the slightest bit of dehydration will be detrimental to your dog’s ability to regulate body temperature. Dehydration also puts your dog at a higher risk for heat stroke. Don't Forget Rest Days. Your dog’s body needs time to adapt to the increased demands of work. Time for rest and recovery are essential! Measure Your Progress. Document and keep track of your training so that you can monitor your progress (or lack of progress). Keeping written documentation of how things go will help you recognize when changes need to be made to your training and fitness program. Discover your Canine Fitness IQ by taking the Canine Fitness Quiz today.